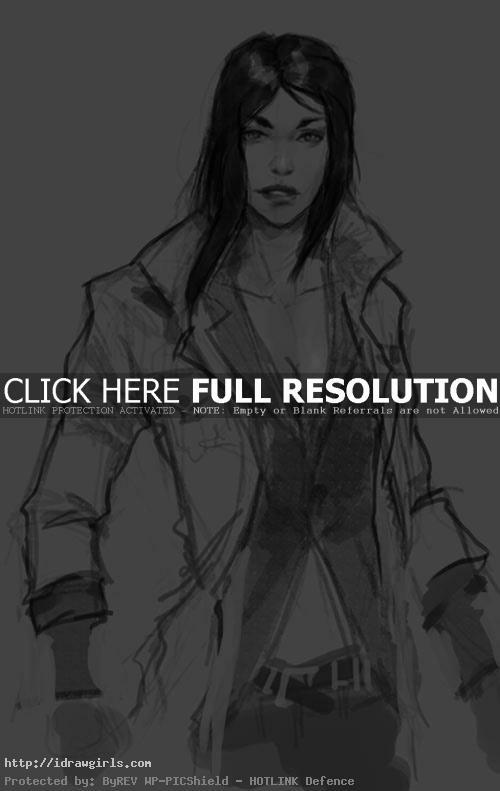 How to draw Naomi Hunter from Metal Gear Solid. This tutorial you will learn to draw a female character with video instruction and step by step tutorial. I love Metal Gear Solid. It has great character design and there are many request for me to do drawing characters from that video game. This time, I decided to pick Naomi Hunter then later I might draw Ninja, Solid Snake, Gray Fox and so on. There are so many great character design there. Here, you will learn how to construct a face, body and her scientist uniform or lab coat. Dr. Naomi Hunter was the chief of FOXHOUND’s medical staff prior to the Shadow Moses Incident, and a member of Solid Snake’s support team during that mission. In 2002, Naomi was recruited by ATGC, a private pharmaceutical corporation that was jointly working with the Pentagon to develop gene therapy for the U.S. Army’s Next-Generation Special Forces. You can find more information on the game series or on the internet. Here is a quick final drawing of Dr Naomi Hunter from Metal Gear Solid. Watch the video tutorial how to draw Naomi Hunter. Below are step by step images easy to follow along with the drawing video instruction. Step 1, I loosely sketch out her head, hair and part of her shoulder. Step 2, now I draw out her uniform or lab coat with long sleeves and a collars shirt layer inside. Notice at this stage, my line drawing are very light. Step 3, then I get close up on her face and start drawing her eyes and nose. Step 4, now I complete her face drawing with some basic shadow. Step 5, I begin to draw outline for her hair, collars and coat through out the figure. Step 6, I painted her hair black then finishing up the rest of the body. Watch the drawing video tutorial for more detail instruction. Final drawing of Dr Naomi Hunter.